Today I’m sharing my Liebster Award post. 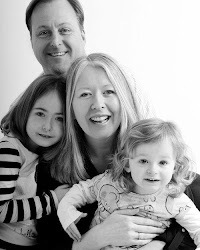 It is well overdue and I was nominated by the lovely Mary whose blog, ‘Over 40 and a Mum to One’, has just entered the world of being self-hosted, something that I will be doing soon too. You will now find her blogging at www.over40andamumtoone.com, so this is a good time to write this post so I can share her new blogging home. 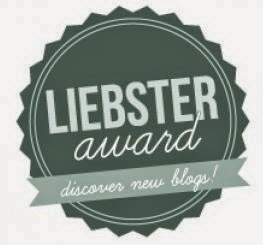 The Liebster Award is given to blogs who have less than 200 followers. It’s a great way to find new blogs and helps these blogs to reach new readers and build their blogging audience. I feel touched that Mary felt my little ol’ blog deserved a nomination. After 7 months of blogging for The Mad Mummy Musings, I’m still in awe of the fact that people actually read my ramblings. And some of you keep coming back for more so I must be doing something right! No matter how hard I try I can’t roll my tongue up at the sides – Grrr! When I broke my arm as a child I couldn’t have a plaster cast as the break was too high up the arm – I was gutted as no one wants to sign a sling! I hate Christmas cake, Christmas pudding, and mince pies. A bit “baah humbug” I know but I just don’t like dried fruit. When I was about 6 years old I was picking out (cleaning) my horse’s feet and dropped one of them on my thumb ! Ouch ! He then proceeded to stand on it and I was left nail-less after a week or so. A flappy black and blue nail was great for scaring friends with until it fell off. It took my husband 7 years to finally propose to me and it took us another 7 years before we had our first daughter. Doing it all in 7’s. When I was a teenager I went through a phase of loving Coleslaw sandwiches. According to my hubby I sometimes snore at night. How rude, women don’t snore! I’m a princess. Yes really, I am. That should keep you guessing, hee hee! I cry really easily when watching sad films. I’m hopeless at being brave and get far too involved in all the emotions of a film. I need a huge box of tissues nearby to mop up Niagra Falls when it comes. I don’t like it when people put up a facade. I tend to wear my heart on my sleeve and often find those who always put up a facade have something to hide. It makes me feel uneasy. 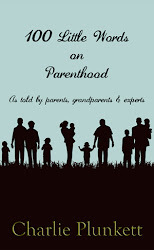 What is the most important thing you’ve learnt since becoming a parent? I’ve always wanted to write and never knew whether I was any good at it or not. I’ve always wanted to write a book, so I suppose writing a blog gives me a space to call my own and a place to write from my heart without rules and restrictions. I would love to write for others/magazines but often find that my confidence comes more in writing for myself than for others. I find blogging therapeutic, fun and I have met some fabulous people in the 9 months since I started this journey. It’s an exceptionally supportive community of amazing people. If you could swap places with anyone for a day – who would it be and why? I’ve mulled this question over and over and I’m sure there are many celebrities or iconic people who I’d love to change places with for a day, but I've decided that I’d actually love to swap places with my eldest daughter for the day particularly when she’s at school. When you have your kids at home with you and then they branch out into the big wide world on their own, you start to lose that closeness and that understanding of what their day is like. I would love to be her for a day at school to see exactly what she does and how it feels to be her in her world. I’m sure it would give me greater insight into how she has developed into her own person. Probably Majorca & Menorca, in the Baleairic Islands. I have such fond memories of many holidays spent on both Islands as a child. We went back year on year and my time there was always happy. We went back with my eldest daughter not long after returning to the UK from our time living in France. It was an incredibly healing holiday particularly as I was still recovering with my PND. It was like a soothing band aid for my Soul. And we were able to make new and happy memories for us as a family unit too. That I worry too much; about what people think, of what may happen, of what the future holds. I need to chill out more and just let life play out as it’s meant to. I’m sure I use up far too much energy when I’m fretting. I asked my hubby to help me on this one and we both agreed that it is probably that I’m empathic. Having an elder sister with special needs meant I grew up quickly as a child. I learnt at an early age to see the bigger picture and to be consciously aware of others’ feelings. I learnt that there are always two sides to every story and it’s important to see both those sides wherever possible. For me being in touch with people’s emotions and feelings is important. Perhaps that’s why I wear my heart on my sleeve so much. This is a really difficult one for me to answer as I just love food in all its forms. The foods that would feature on a table of favourites would be home made chocolate mousse, garlic prawns with crusty bread, a hearty stew, a plate full of crudités and healthy dips, smoothies and juices, and some dark, mint chocolate. How would you like to be remembered by your children? As someone who loved with her whole heart, was fair, kind, understanding and not afraid to say sorry when she got it wrong, whilst living life to its fullest. Life, and my experience of it. My writing tends to be very honest and perhaps a little deep. I suppose that reflects the type of person I am. I find people fascinating and I think reading other blogs can give you inspiration too. What is the one tip you could pass on to a fellow blogger? Be true to yourself and your own way of writing. As a new blogger you can get very caught up in other blogs and what makes them popular or not. It’s quite a fickle place to be at times and I’ve learnt to write about what interests me rather than trying to be something I’m not. Each blog finds its own unique readers eventually. For some that’s instant, for others it takes time. It’s a bit like a good bottle of wine; some need more time to mature and become full bodied. 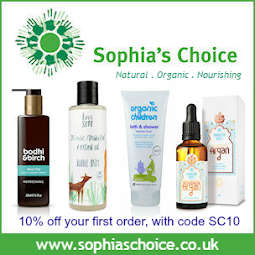 Will you follow the bloggers you nominate? I did one of these when I first started blogging too, it's a great way to share more about yourself. I found myself agreeing with many of your answers especially the crying at sad films, wearing you heart on your sleeve and being vary of people who put on a front. A great post - always interesting to discover more - I love Christmas and glad that mince pies aren't all the year around or I would be huge!